The charges stem, in part, from high-dollar spending of the court, Loughry’s one-time possession of court property at his private home and improper personal use of a state vehicle. In a 34-page document provided by the West Virginia Supreme Court of Appeals, the Judicial Investigation Commission says Loughry lied to WCHS-TV reporter Kennie Bass when Bass questioned Loughry about his knowledge and involvement of renovations to Supreme Court offices that took place in 2013. Those renovations totaled approximately $363,000 and included a $32,000 sectional sofa and $7,500 for "a custom-made wooden medallion of the State of West Virginia built into the floor with each county cut from a different colored piece of wood and his home county of Tucker in blue granite," according to the document. While Loughry contended in an interview with Bass that he had "very little" input in the renovations, the Judicial Investigations Commission says Loughry had knowledge and was aware of the costs. “A multitude of State Supreme Court records demonstrate that [Loughry] was heavily involved in the design and renovation of his office. For example, [Loughry] submitted a rough hand drawing with detailed notes done by him depicting how he would like his office to look upon completion,” according to the charge statement. 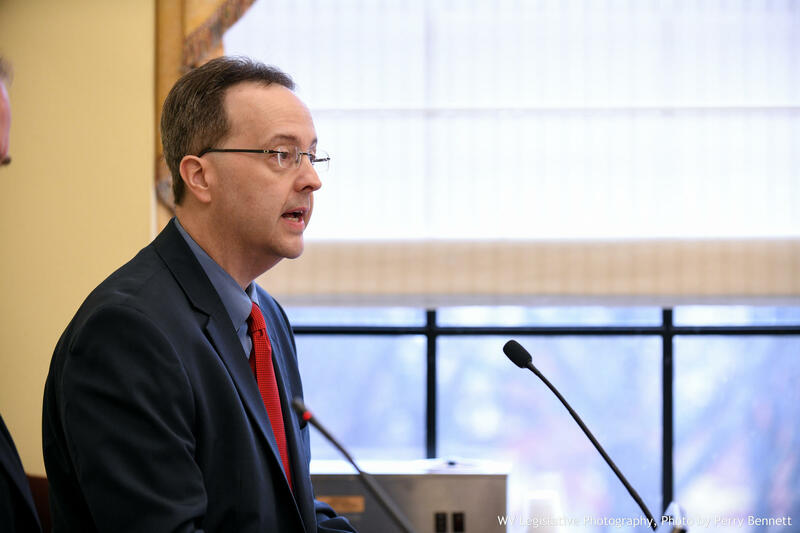 The Judicial Investigation Commission said Loughry lied to other media outlets regarding the matter, as well as the House of Delegates Finance Committee during a budget presentation during the 2018 legislative session. The charges also say that Loughry kept secret from the other justices that, in early December 2017, a federal subpoena was served on the state Supreme Court. Additionally, Loughry is charged with improperly using a state vehicle for personal use, which was detailed in an audit released last month. A spokesperson for the court said they did not have a statement on the charges filed against Loughry. Attempts Wednesday to reach Loughry for comment at home and in his office were unsuccessful. Loughry was named chief justice at the beginning of 2017. Following months of questions surrounding Loughry’s involvement in the high-dollar spending by the court, justices voted in February to remove him as chief in favor of Margaret Workman. Before being elected to the state Supreme Court in 2012, Loughry authored the book “Don’t Buy Another Vote, I Won’t Pay for a Landslide”, which details the history of political corruption in West Virginia.